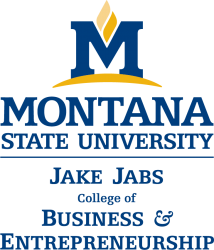 The Montana State University Jake Jabs College of Business & Entrepreneurship (JJCBE) offers four undergraduate options of study - accounting, finance, management and marketing - as well as five minors - accounting, business administration, entrepreneurship and small business management, finance, and international business. It also offers a master of professional accountancy degree as well as a business certificate for non-business degree seeking students and entrepreneurship certificate. Fosters an integrated, experiential, and personalized learning environment and encourages critical thinking, quantitative reasoning, effective communication, ethical decision making, social responsibility and life-long learning. For more information about the College, visit http://www.montana.edu/business/index.html.